DuBoLoGy (dub – a technique of creating sounds + Greek: λογος, logos, „study”) – is a field of science that examines the reactions of human body, on the psychological as well as the physical level, to low-frequency sound waves and the space surrounding them. The lecture by a French dubologist presented here, which consists of eleven parts, touches upon current affairs, referring to the results of up-to-now achievements, eventually it suggests solutions which look far ahead to the future. 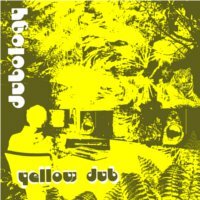 This lecture titled “Yellow Dub” is crucial to the development of dubology, hence it is dedicated to all enthusiasts, examiners, and experts of this scientific branch. You’re welcome to ponder over it! Yellow Dub by DuBoLoGy is licensed under a Creative Commons 3.0 PL licence.